Indian-Americans are starting to lose many of their first-generation pioneers to age. Will their rich stories be buried with them? Is our history in America, dating mainly from the late 1800s, being chronicled and preserved? Thanks to a few noteworthy initiatives, including the Smithsonian’s Indian-American Heritage Project, our stories—along with memorable photos, audio, video, articles, and other artifacts—are being collected, curated, preserved, and exhibited. In big American cities and small Apple-Pie towns, the early Indian immigrants to America yearned for nothing more than a steaming bowl of their mother’s home-cooked daal, but it was just a sweet mirage, something simmering continents away. Fast forward a few decades, and the Indians are almost drowning in daal! Sparkling supermarkets, restaurants and takeaways provide almost an ocean of daal. In fact, there are so many varieties of daal from different parts of the world that you could probably export daal from America to India! So it’s hard to imagine that even in a big glittering metropolis like Atlanta, just 30 years ago, daal was such a rare commodity that immigrants had to make do with “pretend daal”—yellow split lentils from the local stores. There were no Indian grocery stores in Georgia until an enterprising couple, Bhavana and Raj Shah, started the first one in 1972—in their home! And soon after, daal (And much more!) was on the menu at Calcutta, Atlanta’s first Indian restaurant started by Sumitra and Ashok Bhattacharya. From the Indian groceries and restaurants that we take for granted today to the scores of Hindu temples where we worship, the tapestry has been built up grain by grain, and brick by brick by pioneering Indians. Jagan Bhargave, a longtime resident of Atlanta, Georgia, mentions many dynamic Indian-Americans who have laid the foundations for the Indian community in so many parts of the U.S. He reminisced, having just returned from the funeral of P.V. Rao, one of the Atlanta pioneers who had helped build so much of the structure of the Indian community here. Bhargave said that when he came in the 1960s as a student to Atlanta, the very first person he had met in college was Raj Chawla, who went on to be the first one to show Hindi movies commercially in Atlanta and had also started the first Hindi radio station. Where was Raj Chawla now? I was told that he had passed away. 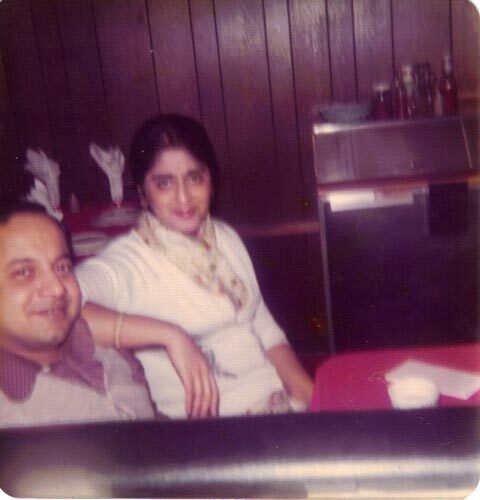 The Late Bhattacharyas, Sumitra and Ashok, owners of Calcutta, the first Indian restaurant in Atlanta (1973), represent a growing number of first-generation pioneers we are losing, making it that much more important to preserve their stories. Indeed, Indian-Americans, now numbering a sizable 3.3 million, successful, entrepreneurial and with healthy, happy families behind them, seem to be at a crossroads, as the demographics tell a more sobering story. The Indian immigrants who came here in the ‘50s and ‘60s are now approaching their final years and many of these voices are disappearing—and with them, all the untold stories, the celebration of inspirational lives well lived. Stories that are undocumented will surely be lost, silenced. Now is the time to gather these voices and record them for posterity. Some attempts are being made to do this, by institutions and individuals. 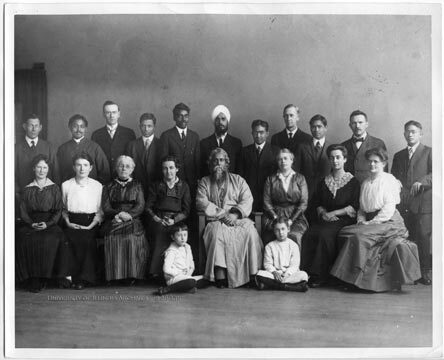 A very comprehensive effort in the U.S. is the South Asian American Digital Archive (SAADA), the only independent non-profit organization working to document, preserve, and provide access to the rich history of South Asians in the U.S.
“We started the South Asian American Digital Archive in 2008 because we realized that there were no existing systematic national efforts to document and preserve the history of South Asians in the United States and we feared that our community’s history was in danger of being lost,” says Samip Mallick, based in Philadelphia. Mallick founded SAADA along with Michelle Caswell, an Assistant Professor of Archival Studies at UCLA, and Jennifer Dolfus Ford, who is based in the Bay Area. The other directors include Manan Desai, Assistant Professor of English at Syracuse University, and Tina Yokota, Manager of Planning and Development at Access Community Health Network in Chicago. SAADA also works in collaboration with institutions and other archival repositories owning materials from the community’s history in their collections, including a number of major institutions around the country, like the National Archives, Stanford University, University of Pennsylvania, University of North Carolina, Swarthmore College, San Jose State University, and others. The stories show how rich is the Indian connection in America. 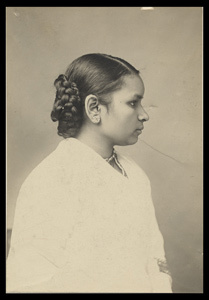 There is the story of Anandibai Joshee, who in 1886 graduated from the Women’s Medical College of Pennsylvania and became the first Indian woman to earn her M.D. in the United States; the story of Congressman Dalip Singh Saund, who in 1956 became the first person of Asian American heritage elected to serve in national office; and the story of Bhai Bhagwan Singh Gyanee, an early immigrant who was a leader of the American wing of the Gadar (Ghadar) Party, an Indian Nationalist movement fighting for India’s independence. As Mallick points out, these are just a few examples of the stories documented in SAADA, but there are so many more. The materials are freely accessible to the public through the SAADA website at http://www.saadigitalarchive.org. Mallick, who grew up in the U.S. but has lived in India for some of those years, says, “For me, the most rewarding aspect of SAADA’s work has been in creating a platform for our community to learn about its own history and to preserve and share this history with future generations.” One rewarding event was working with S.P. Singh, the grandson of Bhai Bhagwan Singh Gyanee. Another significant effort is the Indian-American Heritage Project at the prestigious Smithsonian Museum in the nation’s capital which will be launching a national exhibition spotlighting the Indian community. Earlier known as the HomeSpun program, and now directed by Masum Momaya, the project is important because this is the first time a major national institution has addressed the saga of the Indian-American immigrants and their children. Another cyber effort like SAADA’s is the Kahani (meaning ‘story’) Movement, envisaged by two innovative brothers who are well known to us—CNN’s Dr. Sanjay Gupta and his younger brother, Suneel, who has been Groupon’s VP for Product Development, and has worked with Mozilla Labs, MTV, Sony Pictures, and even served in President Clinton’s West Wing. 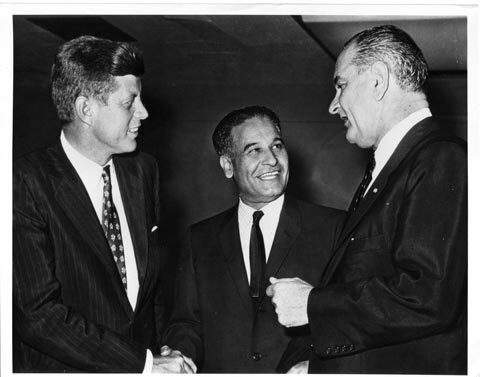 Dalip Singh Saund, first Indian-American Congressman, with John F. Kennedy and Lyndon Johnson. The Kahani Movement aims to create a cyberspace dedicated totally to Indian-Americans, to the personal stories of those who came from diverse parts of India. Old childhood photographs, wedding certificates, and pickle recipes—nothing is too mundane to gather and cherish because all these are the threads of a family tapestry. Drawn by a passion to retain their family stories, the brothers launched Kahani in 2009. They were inspired by the experiences of their mother Damyanti (née Hingorani) Gupta who came to America in the 1960s as a single woman and an engineer. She was the first graduating engineer from her class in Baroda, and became the first woman to be hired as an engineer by the Ford Motor Company. CNN’s Dr. Sanjay Gupta (L) and his brother Suneel were inspired to launch Kahani Movement by stories such as of their parents. “My mom is the strongest person I know and she made us believe that for us nothing was impossible—we just had to figure out what it was we wanted to do. For Sanjay it meant a career in neurosurgery and television and for me it meant a career in the law, and then working with Mozilla on new technologies, and with Groupon,” says Suneel. Growing up, they had heard so many inspiring tales from their parents, especially their mother, of how she brought her entire extended family to America, and helped her brother and sister get an education and careers. They were particularly charmed by the story of how she met their father back in the ‘60s. When her old car broke down, she had gone to the phone booth and tried calling up a random Patel or Shah for help, since she had lived in Baroda and spoke good Gujarati. The Patel she found in the phone directory was not at home but his roommate, Subash Gupta, answered and was happy to help a fellow Indian. That was the man Damyanti Hingorani finally married! “These were stories Sanjay and I would hear all the time growing up and we realized that for both Sanjay’s daughters and now mine, they may not have this luxury. How do we make these stories live forever?” recalls Suneel. The Kahani Movement is a social network that aims to capture untold stories from first-generation South Asians in the U.S. “What’s amazing is that in this digital age, almost every person with a smart phone is an instant journalist, and everyone is becoming their own media empire,” says Suneel. The Kahani Movement is very much a work in progress, and has no paid staff. As Suneel emphasizes, it’s a community-owned movement, and it will be as strong as the community makes it. Right now there are about a thousand pieces of documentation including blogs, videos and audios. There is a value to recording these stories, for you never know when the end comes up. Amardeep Singh Kaleka, as part of the Kahani project, decided to interview his own Sikh community in Wisconsin, where his father was the president of the Oak Creek Gurudwara. There have also been several digital efforts to record the trajectory of the communities in India and abroad. The Indian Memory Project (www.indianmemoryproject.com) was founded in 2010 by Anusha Yadav, a photographer and photo archivist, and an INK (in association with TED) fellow of 2011. Yadav mentions that she has received images from as far as Scotland and Australia, and would always like to hear from more people who’d like to share their family photos and histories. Almost every family has wonderful chunks of fine photographs, videos, and audio files. What might be great is for young second and third generations to turn to the celebrities in their families—the frail yet gutsy grandparents who crossed oceans to come to a new land and who gifted adventure and entrepreneurship to them. This is the time to document their stories for future generations. When your clueless two-year-old grows up, it will be a wonderful legacy for her to know why she’s here and how she got here. From digital to the real: will Indian-Americans ever want to take the giant step of creating their own museum, like the one for the American-Indians, the Chinese in America, or the Jewish American community? It’s hard to believe but there are two actual brick and mortar projects started by Indian- Americans. These are the Asian Indian Heritage Project in Cleveland (https://sites.google.com/site/asianindianheritageproject/) and Indo-American Heritage Museum in Chicago (http://iahmuseum.org/). In 2008 IAHM was incorporated as an independent 501(c)3 organization dedicated to education about the cultural heritage and achievements of Indian Americans, and has done presentations for students and teachers, including a Fulbright-funded six week tour in India. 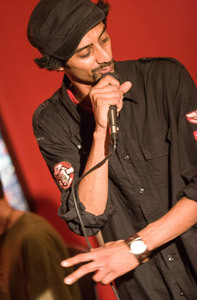 Right: Indian music has also influenced a variety of American genres, including rock. 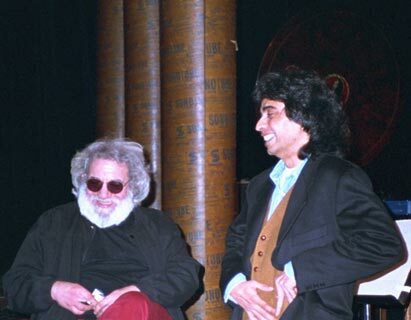 Acoustic guitarist Sanjay Mishra recorded the album Blue Incantation with the Grateful Dead’s legendary electric guitarist Jerry Garcia in 1995. Meanwhile it will take a concerted effort by various communities to make sure that the Smithsonian exhibition has its full impact. As Momaya points out, the Indian-American community is made up of 3.3 million individuals and the Indian-American Heritage Project has only reached a small fraction of them. There is great excitement in the ones who’ve been reached and who have contributed funding, stories, artifacts, and photographs. However, a lot more people need to be reached. Left: In 2004, Mohini Bhardwaj becomes the first Indian American woman to win an Olympic Medal, capturing a silver in gymnastics at the Games in Athens. Indians are not a homogenous lot, and stories differ depending on what part of India they come from, and the back stories they bring with them. So how does the Indian-American Heritage Project plan to tell a story that has so many different characters? The exhibition will open in late 2013 at the National Museum of Natural History, be shown there until early 2015, and then travel around the country for five years thereafter. “I hope the exhibition will dismantle stereotypes and erroneous assumptions that are held about Indian-Americans, and for Indian-Americans I hope they will leave with a sense of pride about the numerous ways we’ve shaped this country,” adds Momaya. Lavina Melwani is a writer for several international publications and blogs at Lassi with Lavina (www.lassiwithlavina.com). Her Twitter handle is @lassiwithlavina. Jagan Bhargave came to Atlanta in 1961 to obtain an education in aerospace engineering. The young man who came with one suitcase and eight dollars in his pocket is now a veteran of the community who also has 30 years of distinguished service with Delta Airlines behind him. Atlanta was a lonely place for Indians at the time since almost all of us were single students away from the family and friends in a foreign land. Therefore, we stuck together very closely. Georgia was a rural and socially conservative society where the population was primarily identified either “whites” or “blacks.” There were very few like us who did not fit either of these identities, and were classified as “others,” and were looked upon as strangers. Georgians had to make as much adjustment to accommodate us, as we had to accommodate Georgians. However, mostly, they were very polite and understanding and went out of their way to make us feel comfortable. The biggest problem was to establish our identity. We seldom had any problems with locals on the college campuses or with the people that we worked with. Almost all the Indians in Georgia were either in academia or were professionals (physicians or scientists), and therefore, had established a respectable place in the minds of most Georgians. The earliest effort to organize our group was formation of “Indian Students Association” with a total membership of little over a dozen. The next significant phase came in late ‘60s when a few families started building amongst us. Those “Indian- food starved” lonely students, including myself, found some loving and caring “bhabis” to console us. My wife Suman joined this unique group following our marriage in 1967. These ladies found some innovative ways to satisfy our appetites for Indian taste, such as using yellow split peas to make daal, and Bisquick to make gulab jamuns. They had to make bigger adjustments in their lifestyle. They got stares from the curious locals in shopping centers and work places because of their different looks (typically bindis and sarees). We frequently got together at different homes to socialize and to celebrate special holidays and occasions. We all identified ourselves as Indians only, regardless of wherever in India we originated. Unity and solidarity were the outstanding characteristics of the Indian community in that era. 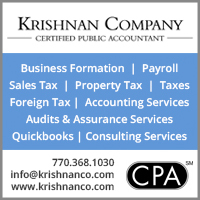 The late ‘60s and ‘70s were a period of slow but steady growth for the Indian population in Georgia. There was a need to identify ourselves as a distinct community, which led to the formation of the first social organization, the “India Association.” We used to meet in homes, schools, and community halls, and organize activities of common interest. Mrs. Lillian Carter, mother of then Governor Jimmy Carter, and a Peace Corps volunteer in India, was among the first prominent guests of the community. We may think that the Atlanta Indian community has come to be reckoned only in the last decade or two, but here’s a cover story (left) on “Indians in Atlanta” in the weekend magazine of the Atlanta Journal-Constitution dated August 17, 1975! Later on, in the early ‘70s, the India American Cultural Association (IACA) became the sole social organization representing the community. 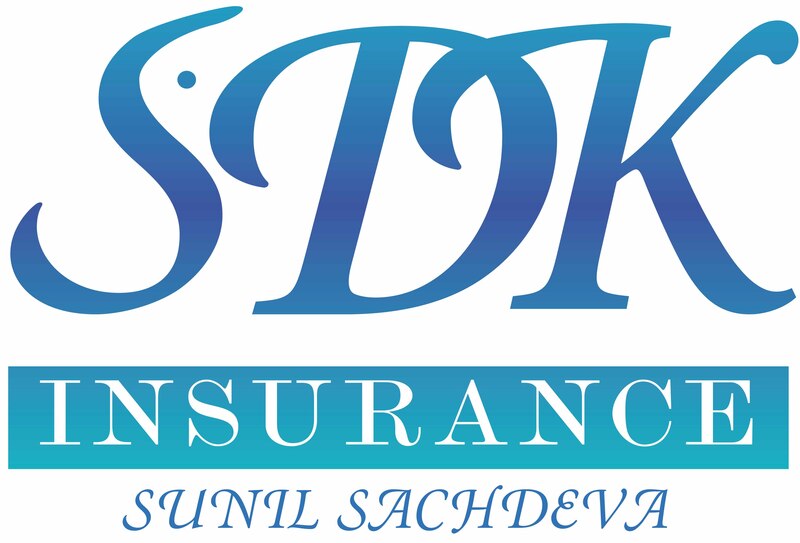 Interestingly, IACA was initially formed to help the drought and famine victims in Bengal in the early seventies. Even with the small numbers, we were successful in raising some $50,000 in cash, medicine, and other supplies to aid the victims. As the Indian-American community started growing, the second generation became a compelling factor in our lives, and we began to feel a need to establish a base for spiritual and religious activities. The Atlanta Hindu Society was organized by about half a dozen families (Sachdeva, Manocha, Bhargave, Vijai, Chawla, Lala families, to name a few). 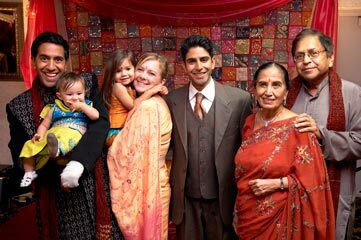 The Atlanta Hindu Society is still operational, and meets periodically at various member homes. Today, the metro Atlanta Indian-American community is served by several temples, gurdwaras, mosques, and churches. 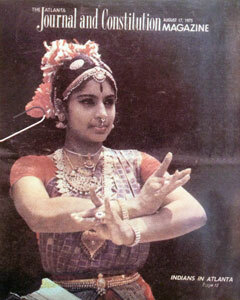 The cultural and entertainment activities also moved up to the next stage, when the occasional screening of Indian movies started on the Georgia Tech Campus with 16 mm format films. Raj Chawla and Manorama Pandit were the first ones to start screening the movies in commercial theaters in mid-seventies. They also began a radio program called “Music from India” on a regular basis. This all-volunteer and community non-commercial radio program is still on the air (Sundays at 3 p.m. on WRFG FM 89.3). The ‘80s and the ‘90s saw the real explosion of the Indian population and their economic growth. 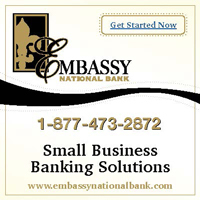 No longer was the Indian community limited to small businesses. They spread over the entire spectrum of society. The second-generation Indian-Americans began to assert their own successes. This newest group of immigrant population brought economic strength to Georgia that is mind-boggling and unprecedented. The ‘80s also saw the initiation by Indians into political and governmental arenas. 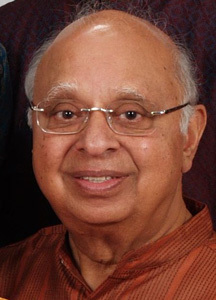 Krishna Srinivas was instrumental in initiating the Georgia chapter of the Indian-American Forum for Political Education (IAFPE). Subash Razdan organized the Georgia chapter of the National Federation of Indian Associations (NFIA), and later moved on to lead the organization on the national level. This process grew very rapidly, getting the attention of political leaders as well as that of large industry leaders. That brings us to the current stage of the Indian community in Georgia—a real success story in any book. 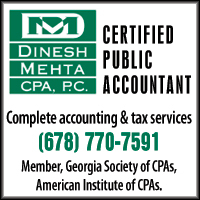 Today, Indian-Americans enjoy a respectable place in Georgia. They play an unprecedented role in almost every phase of Georgia’s success and growth. We are privileged to be living in a community where we enjoy the best of both worlds. We can be proud of our heritage, enjoy our successes and our lifestyle, and are able to make a real positive contribution to our newly adopted homeland. "Bengali Harlem: Author documents a lost history of immigration in America"
Editor's note: CNN's Moni Basu, a Bengali immigrant, was born in Kolkata, India. By Moni Basu, CNN. CNN Blog "In America." 2/15/13. Moni Basu, Atlanta reporter at CNN, writes about the "lost Bengalis." In a fascinating article about early Bengali immigrants to America becoming "lost" in order to make it in an America that was not accepting Asian immigrants, she tells of people who are now, with the help of others doing research and writing books on Indian-American history, finding themselves and their history and culture, and even going back, along with the spirits of their fathers and grandfathers, to India and Bengal, to reconnect long years later.